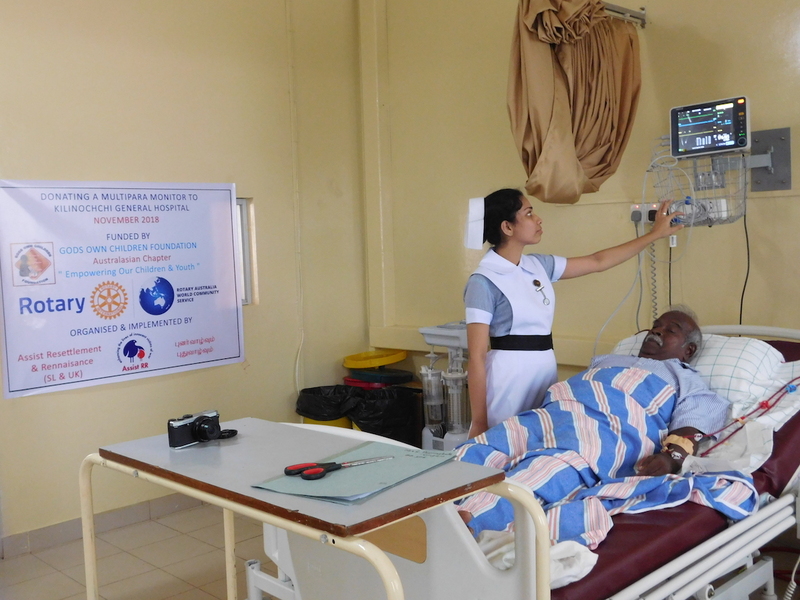 Assist RR conducted three cardiology clinics simultaneously in Mannar, Killinochchi, and Mullaittivu, in Sri Lanka. This was made possible by the generous volunteer service of Dr Mayooran Shanmuganathan, Dr Khalda Halim & Dr Andy Morley-Smith, all from UK Harefield Hospital. They performed echocardiogram scans on >250 patients and exercise treadmill ECG tests on 20 patients in 5 days. This ensured early diagnosis and management for patients with heart disease, who otherwise face long waiting times and travel to see a cardiac specialist in the neighbouring districts. 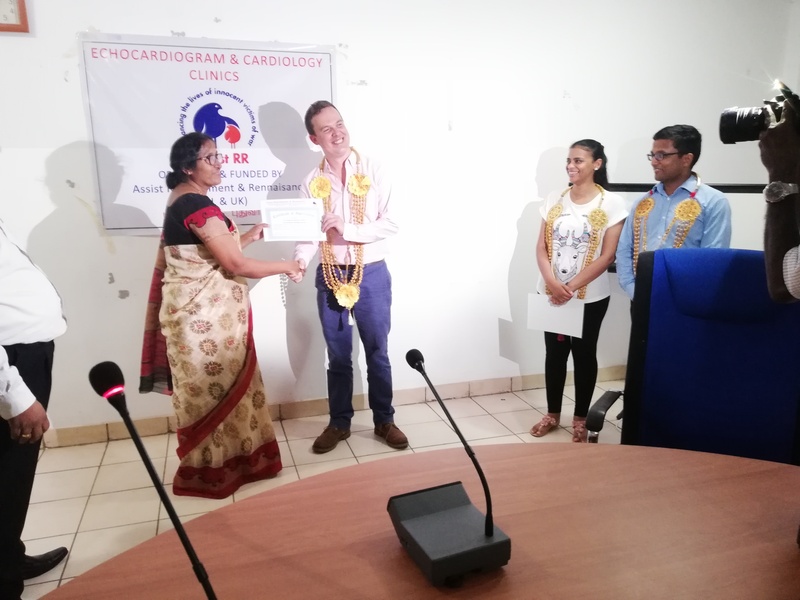 Unlike the previous trips, they spent a considerable amount of time during the past week training local doctors and technicians in various aspects of cardiology medical practice. We have conducted 8 cardiology clinics in Sri Lanka and the volunteer doctors have helped over 1000 patients during these 8 clinics. Words of mention and congratulations must also go to Dr Muhammadh Nisath, Dr Thanabalasingam Piragalathan and other junior doctors for their excellent contribution to the clinic in the past week. A special thanks must also go to Mr James who has been providing the volunteer doctors with free accommodation at his excellent hotel in Mannar (Hotel Gateway Inn, Emilnagar, Mannar town). Finally, a BIG THANKS to donors on https://mydonate.bt.com/fundraisers/srilankacardiologyclinic. 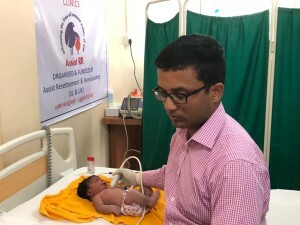 Your money will be used to run clinics and also donate necessary medical equipments to the needy hospitals as well as support the most needly patients receive healthcare and support their livelihood. Assist RR will continue to run these clinics in the region until a cardiologist is appointed to these hospitals. Please get in touch if you wish to volunteer! Further to requests from Mullaithivu & Kilinochchi hospitals for essential medical equipment, our friend from Australia, Eng Thirukumaran, raised funds in Australia to purchase 3 Multipara monitors (2 to Mullaithivu & 1 to Kilinochchi) at a cost Rs 600,000. A multipara monitor provides and records a patient’s medical vital signs (body temperature, blood pressure, pulse rate and respiratory rate) or measurements of the activity of various body organs such as ECG monitors and anaesthesia monitors. Vital signs determine which treatment protocols to follow, provide critical information needed to make life-saving decisions, and confirm feedback on treatments performed. 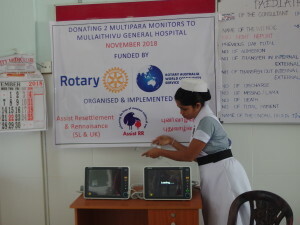 These monitors were handed over to these hospitals last week. 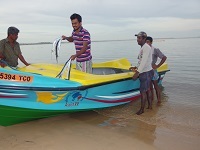 Funds were provided by GODS OWN CHILDREN FOUNDATION, Australasian Chapter, and friends from Australia through Rotary Australia World Community Service. I would like to thank the Australians for their generous support that enabled these donations. Photos are attached.